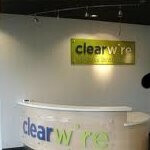 UPDATE: Clearwire's PR firm just contacted us to state that the company has actually not made an official announcement. So, obviously not all is clear yet. They did say however that official information will be provided on February 17, during the company's Q4 financial results announcement. Back in November, we reported about Clearwire’s intentions on cutting 15 percent of its workforce in the hopes of saving some cash. Well, it looks like they’re escalating the process because the company is in desperate need of money. In a stunningly quick move, Clearwire officially announced (see update above) that they are going forward in exiting the retail front and will undoubtedly place their attention solely on branching their 4G WiMAX network. Now even though they don’t intend on shuttering their 140 retail outlets nationwide right away, there is no time frame on when it’ll actually occur. However, we’ll probably get more of a clear indication come February 17th because they’re slated to announce their usual quarterly earnings. Sure it’s a serious blow to the workers manning those retail locations, but with one less distraction out of their way, they can seriously focus on the important nitty gritty stuff as the competition in the 4G space continues to rise. shuttering their 140 retail outlets Shuttering? lol I know description Fail! Shuttering is a fancy word for closing. 140 stores....really??? No wonder Clearwire is OUT OF CASH and not providing 4G to millions of people who pay an extra $10 a month on 4G phones from Sprint only to get their SLOW 3G data speeds. Great move on Sprint's part to be the only carrier deploying Wimax which requires alot of spectrum that barely can penetrate buildings. All this at speeds less then LTE. Faster speeds of LTE is irrelevent until the draconian data plans that come with them are dealt with.